Palau liners are made with 100% highly rated EVA foam. The thermo-moldable foam is closed-cell which maximizes thermal retention. Palau make their liners with a dense cut of the foam that retains its shape after a heat mold or some skiing. That is why they were chosen as the liner supplier for Dynafit, La Sportiva, and other well-known boot brands. Now you can get replacement liners for lightweight backcountry boots with the aftermarket offering from Palau. The Tour Lite Pro liners are relatively thin, lightweight, and have an Achilles flex zone. 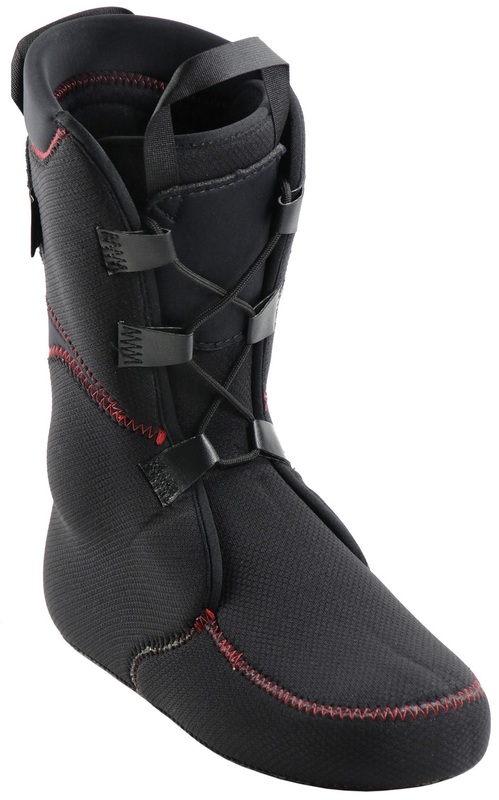 Perfect replacements for TLT, Spitfire, and other high performance ski mountaineering boots. 100% closed-cell EVA foam is very receptive to molding. Tongue design doesn’t interfere with walking like an overlap. Lacing system give you additional ski-support if desired. Flex zone behind the ankle allows for unimpeded skinning. 7mm thickness is light, flexible, yet reasonably warm. Compatible with TLT5, 6, PDG, Spitfire, and other models. I got these with the hopes to make my TLT 6 Performance fit. Although the liners performed willingly, and everything I could have asked them to do, I couldn't make the boots work. I bought these a 25.5 TLT 6, and they fit great, giving me more toe box and more width. I think it's the best replacement liner if you are looking for a simple, lightweight, warm, no-nonsense liner. The only reasons I'm giving 4 stars, is the lack of rear pull loop, and the excessive width around the lower leg. I have skinny legs, but they were completely "bottomed out." They still fit really well in the boots, though. And they were great right out of the box. I didn't feel the need to heat them up. The $160 is a great value. If you are looking for a replacement liner for your TLT 6s, The Palau Tour Lite Pro is a great choice. Overall very happy with these liners as a replacement for the worn thin factory liner in my Atomic Backland Carbon AT boot (in the same size). The only thing I would change would be adding a pull loop on the back of the top of the liner. It has only a pull loop on the front, which makes it harder for me to pull them on. Is the TLT6 she’ll size the same for 28.0 and 28.5? Hi Chance, yes it is. I have a very small skinny foot with high arches. So hard to find a small enough boot. My feet swim in my packed out liners now. Thank you! Hi Stacey, it's a little difficult to say for sure that this will be a good replacement without knowing exactly which Atomic boot you have. If you can provide a little more info, I can try to make a suggestion. Do you know the model you are wearing? I need to stick a larger liner (30.5-31) into a size 30 Alien RS shell (seems like there's room). Would this liner, the Palau Power LT, or the Intuition Pro Tour be a better option? Any other ideas? Hey Gerrit, can you send me an email at help@skimo.co so we can discuss this further? I'm definitely interested in helping out and getting to the bottom of what you're trying to accomplish. Looking for a replacement liner for PDG size 29.5. What are your thoughts on how this would work, and what size would you recommend for the 29.5 shell? I could use a bit beefier liner than the stock PDG, in terms of providing more foot (ankle chafing) protection and stiffening up the boot for the down.  Thanks: your site and store is a great resource! Hi Mat, Given what you've described I think this liner could work well for you. I would suggest the 29.5 size. Besides color is there any difference between the gray and black liners? Hey Clancy! Nope! Just the color! The liners in my La Sportiva Sparkles (1.0) are pretty packed out. Are these similar to the stock liners? I got some Intuitions but I feel like they're too stiff in the ankle and too high volume in the cuff for my large calves. Hey Robbin! The PowerTrack 10 is a closer fit to the Sparkle liner than this one. Hi! Would these be a reasonable replacement liner for the Backland Carbon? I tried on the Intuition Pro Tour and it felt good in the foot and ankle but tongue and cuffs were way bigger than I wanted for that boot. Also, what size would be right for a 25/25.5 shell? Thanks so much for your help. Hi Robin, these aren't too far off the stock liner in the Backland in terms of thickness. They are a denser foam so should last longer, however. Much less cuff volume than the Pro Tours, and no velcro on top of your foot. The 25.5 works great for that shell. Thanks for all the great products and info on your site. I was wondering if you could get a 27.5 Palau Tour Light Performance (or other suggestion) liner inside a 26 TLT6 shell. I know that's not quite the recommended move, but sometimes I find that a 26 liner is snug on my toes even though the shell fit is reasonable. I usually size up my liners if possible. I think it's a little tricky though, because a 26 TLT6 is shorter than some other Dynafit boots. Any and all advice is appreciated. Hi Pete, thanks for the compliment! We work hard at it. Going with a bigger liner than the shell sizing usually doesn't work out well. More often than not, the extra material you are hoping will give you toe room ends up bunching up and actually creating more of a problem. This liner is made from a bit thinner foam than the stock liner in your TLT6. You might actually find a good fit and the extra room you are looking for by going with the 26.5 liner. How does this liner compare to the PDG liner? I'd prefer to replace my current PDG liner with one that is specific to my PDG shell, but all I've been able to find online is a 24.5 PDG liner [and I have a 25 shell]...would this work? If not, or if this is less than ideal, how does the Palau liner differ and/or compare as an alternative in this situation? Hey Britni! Thanks for reaching out! The 24.5 and 25.0 shell in the PDG are the same thing, so the 24.5 liner should work just fine! These Tour Lite liners are a bit thicker and more robust, so you'd sacrifice a bit in the realm of fitting and also walking performance, however you'd probably gain just a bit of support on the descent! 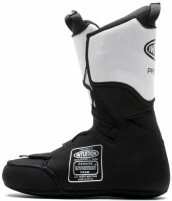 I've got Dynafit Neo boots with Intuition Pro Tour liners. The fit is snug/a little too snug. The things are baking hot in the Northwest spring season, even too warm for some winter days. Would these keep me cool enough or is the ultralight a better option? Would they be too thin? Hey Kam. If the fit is a little snug/too tight, a thinner sock is generally the go-to method for increased sweat wicking and adding some volume. The Darn Tough RFL is the favorite around here! I think the Tour Lite is about as thin as you could possibly go without sacrificing a proper fit. 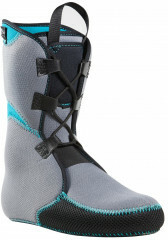 I'm thinking of a liner like this for my 3-buckle telemark boots. I'm currently using the old Scarpa version of the Intuition 'Plug' liner, which is a wrap-style liner. Does this Palau Tour Lite liner have a very stiff/hard tongue? How do you think this would work in a telemark boot? Hi Ron, I wouldn't say that this liner has a very stiff or hard tongue. It is reinforced in the upper area where the cuff will typically overlap, but through the instep and over the top of the foot it is much more flexible. It's notable to mention that this liner is typically thinner foam than that of Intuition Liners, particularly overlap liners. This may create a bit of excess volume inside the shell and therefore may not work very well with your telemark boots. In the meantime, I've been trying to find something that's equivalent. Hi Ron, these appear to be of similar thickness to your older SCARPA liners, so you may end up with a good fit after all. What is the difference between this liner and, for example, the TLT6 CR? Will this liner be higher volume? Hi Alex, these are more like the TLT6 CL, thinner and more moldable than the CR.